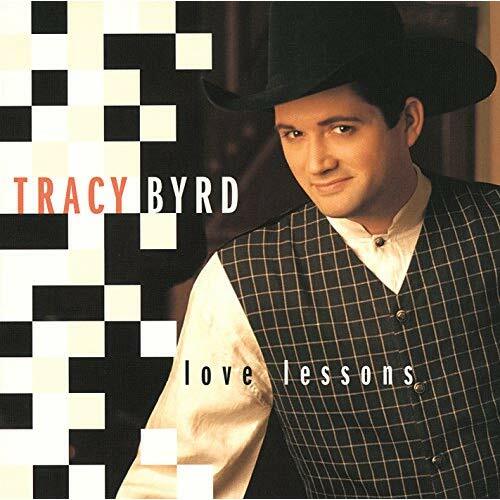 In this week's episode, we're featuring a great neo-traditional album from Tracy Byrd: "Love Lessons" (1995). Three albums in, a number one under his belt and some of the catchiest novelty songs of 90s country radio, Byrd had arrived. But Tracy Byrd was far more than detractors of the "Watermelon Crawl" might give him credit for - he had some geniune talent, a nice guy persona that always goes a long way in show biz and a very talented road band. Mark Nesler, the guitar picker in Byrd's "Only Way To Fly" band co-wrote three of the tracks on the album (two with Byrd himself); and you know when writers like Bill Anderson, Melba Montgomery and Max D. Barnes are submitting songs onto your third studio album that you must be doing something right. A radio-friendly baritone to match a PR-friendly smile helped Tracy Byrd to three Top twenty singles from "Love Lessons", but in this reviewer's opinion, the real gold lies in it's album tracks. "You Lied To Me" is a two-stepper that would fit in well at Tracy Byrd's former home of Cutter's nightclub in Beaumont, TX; "Don't Need That Heartache" keeps the blood flowing, as does the peppy "Walkin' In" and the belly-rubber "Heaven In My Woman's Eyes" displays some sensational acoustic guitar flourishes on top of some buttery brushes. A really good album.